Cultural Front: Do James Harden and Derrick Rose have the strength? Do James Harden and Derrick Rose have the strength? 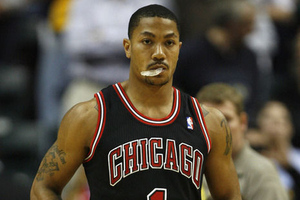 Derrick Rose is not a basketball player to Chicago; he is a symbol. He is one of their own, the prodigal son of the Windy City, sent in by the grace of the Lord God to redeem a basketball team that has not seen luster or flash since Michael last walked out of the United Center. When Rose went down in the 2012 playoffs, Chicago went silent, motionless, but now, with his return imminent, the heart of the Midwest is beginning to beat again with the sound of war drums; Chicago is back. Not every team has the history of Chicago though, the six titles, the greatest player of all time. Just ask Houston. Yes, the Rockets have two titles (in the two year span where Michael Jordan played AAA baseball – yes, the quality of these victories is debatable) and they have had greats; Olajuwan, Drexler, Malone, but life hasn’t been easy in Southeast Texas. Tracy McGrady was “The One”, and Yao Ming was so unique he didn’t need a nickname, but with incredible potential in the early 2000’s both stars sputtered to injury-plagued, “bust” careers, leaving the Rockets good, but never truly great. 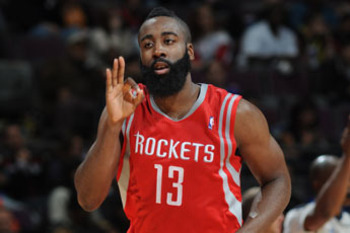 Enter “the Beard”: James Harden is 23, averaging 26.4 (points per game), and dazzling millions (while also making them). The youngest team in the NBA is over .500, and Harden is 4th in the league in scoring, behind the likes of Kobe Bryant, Carmelo Anthony, and Kevin Durant. Not bad company. Is Houston on top? No. But once again, the future looks bright. As the pressure of the season rises, entering the home stretch of regular season action, both teams will be tested. The NBA, more than any other sport, allows individuals to rise and simultaneously lift their teams, their fan bases, THEIR CITIES, with them. Do James Harden and Derrick Rose have the strength to put the dreams and aspirations of millions on their shoulders? We’re only at halftime. We will know for sure by the end of regulation.